COMPLETE! compressor, tank, dryer, & drain in one! You don’t need 3 phase power! 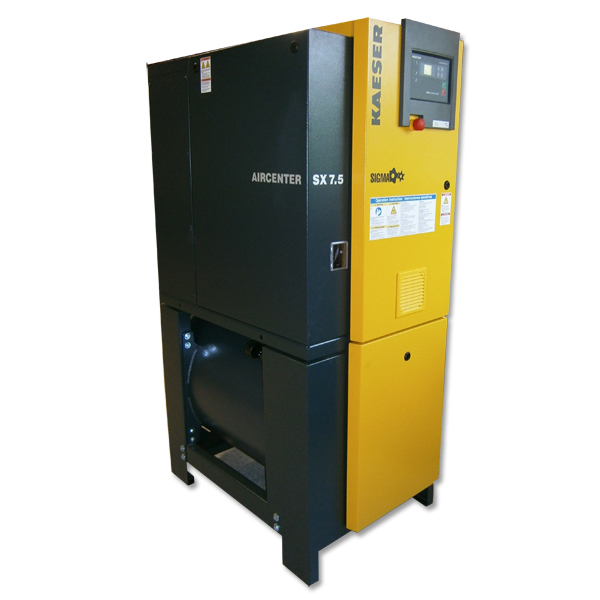 Kaeser AirCenters are Complete Compressed Air Systems; single or duplex arrangements. Model SX 7.5 shown. A reliable source of clean, dry air; the combined reliability and efficiency of rotary screw compressors with a storage tank and clean air treatment equipment. Completely assembled easy installation and compact design. Many models; 5 hp to twin 30 hp units with pressures from 80-200 psig and flows from 12-248 cfm.